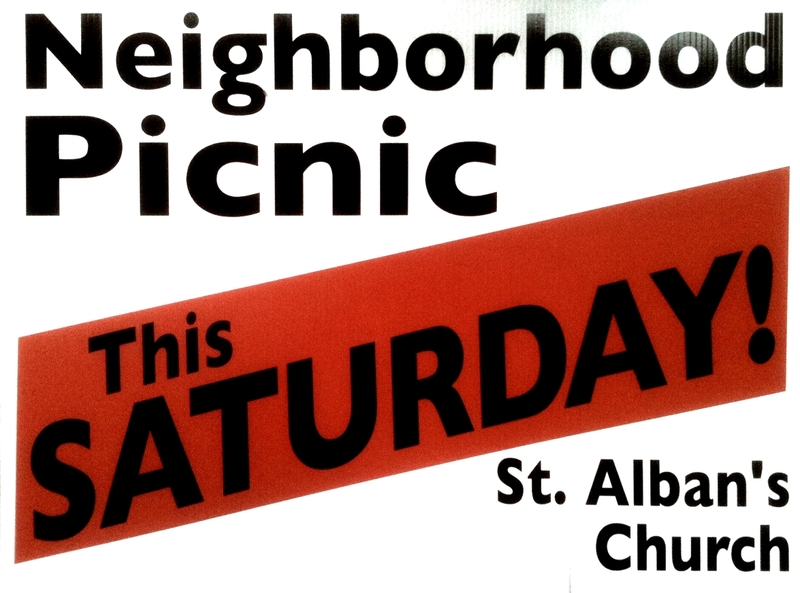 St. Alban's Episcopal Church: Neighborhood Picnic - Saturday! St. Alban's will have its Neighborhood Picnic this Saturday, November 10, 2012 from 11:00 a.m. until 1:30 p.m. Everyone is invited. Enjoy games, hot dogs, hoppers, face painting, crafts and more. Members of the church are asked to bring a dessert to share. We can also use help before for set-up and after for clean-up. Pray for good weather and join us!